The failure of Pauling's and Corey's 1953 model for the structure of DNA was more than humiliating. It was a public demonstration of the limits of Pauling's model-building approach. By relying on a minimal number of facts, some hasty calculations, and his own unparalleled intuition, Pauling came up with a triple-chain structure that was not only chemically suspect and structurally unlikely, but did not say anything about how DNA might function as the carrier of genetic information. After its publication (and swift rejection), Pauling seemed to lose his taste for taking on more biomolecular theoretical structures. After winning the 1954 Nobel Prize in chemistry for his work on the chemical bond he assumed the role of elder statesman of science, overseeing the work of others, creating textbooks, writing review articles, and spending increasing amounts of time on peace work. 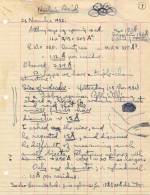 Although he continued to publish papers on protein structures through 1955, it was mostly clean-up work. By then the important advances were being made elsewhere - especially in England, where the Cavendish group's long trek toward solving the structures of globular proteins finally began to yield important results. Frederick Sanger, after eight years of tedious work, published the full amino acid sequence of insulin in 1953 (an achievement that won him a Nobel Prize in 1958). 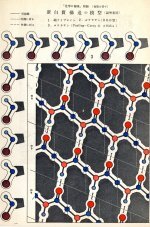 John Kendrew, working with Perutz under Bragg's general direction, published a first, fuzzy look at the full structure of the myoglobin molecule in 1958, then sharpened it into a high-resolution representation in 1960. By then Perutz had also achieved success, publishing the first detailed structural description of hemoglobin. The two men shared a Nobel Prize in 1962. It was then that the limits of Pauling's alpha helix became clear. Myoglobin and hemoglobin were not what anyone expected. There was no apparent regularity there. These were lumpy, meandering, misshapen-looking tangles of protein. There were sections of alpha helix, especially in myoglobin, but where was the tight crystalline-like packing of alpha-helix chains that some people (including Pauling) had expected? As Kendrew put it in his description of myoglobin, "Perhaps the most remarkable features of the molecule are its complexity and its lack of symmetry. The arrangement seems to be almost totally lacking in the kind of regularities which one instinctively anticipates, and it is more complicated than has been predicted by any theory of protein structure." After the publication of the myoglobin and hemoglobin structures, Pauling's alpha helix began to look like a connecting rod, a way to get a polypeptide chain from point A to point B. It did not appear to contribute in any direct way to the molecules' function. As more complicated globular proteins were solved through the 1960s and 1970s, it appeared that fully functional proteins involved not one, but three or four levels of structure: primary (Sanger's sequence of amino acids); secondary (relatively simple default forms assumed by polypeptide chains, like the alpha helix); tertiary (the ways secondary structures in a single chain were twisted and folded into more complex shapes); and in some cases quaternary structures (the clustering of several chains into a complete protein; hemoglobin, for instance, has four chains). Pauling had emphasized the importance of hydrogen bonds in holding proteins together, but as more was learned it became clear that a number of other forces – especially hydrophobic factors – played an even bigger role in functional molecules. The alpha helix and pleated sheets were not really functional proteins at all. They were parts from which functional proteins were made. They were secondary structures. See Also: "Compound helixes with 1/3 of H. bonds missing" May 17 - 24, 1953. See Also: "Factors Affecting the Structure of Hemoglobins and Other Proteins." June 20, 1957. See Also: "A Proposal for an International Institute for the Determination of the Structure of Globular Proteins, Nucleic Acids, and Other Macromolecules Important to Life." September 5 - 9, 1961. Paper molecular model of the alpha-helix, September 1954. "A Proposed Structure for the Nucleic Acids." November - December 1952.